For a more routine hotel stay, Lexus owners at 13 other boutique hotels receive $100 vouchers for dining and spa services. Those hotels also will offer no-charge access to Lexus vehicles to test drive. “We don’t want to deviate too far from cars, but in the middle of the ownership cycle, we can’t just abandon our customers and make the dealer do all the work,” Bolain said. Lexus also is launching a concierge service that informs owners of local food, wine and golf events sponsored by Lexus. Then there are the little things that seem big. 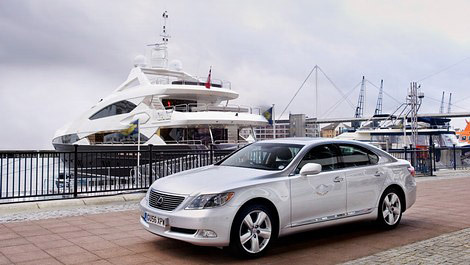 For instance, Lexus has made a deal with National CineMedia to offer private screenings of upcoming blockbuster movies. This summer, Lexus owners in select cities can see an advance showing of Indiana Jones–complete with dinner and popcorn–at no charge. “It’s just our way of saying thanks for being a customer,” Bolain said. Put this alongside the initiative to create a more involving dealership experience, Lexus is certainly looking to grow their brand beyond just “a company that sells cars” to an active part of their customer’s lifestyle. There’s a real appeal to the direction, and I’m looking forward to seeing where they go with it. I’ll admit, when it was first announced that Lexus would be dropping the Taste of Lexus event, it had me scratching my head, I wasn’t entirely sure of the logic. But between this and the new Lexus Performance Driving Academy, Taste of Lexus was on the verge of becoming redundant anyway.